So suggests the new data released today by the Center for Disease Dynamics, Economics & Policy (CDDEP) via its ResistanceMap, an interactive online tool that allows users to track the latest global trends in drug resistance in 39 countries, and antibiotic use in 69 countries. CDDEP also issued the first-ever report on The State of the World's Antibiotics, 2015, that looks at the current state of global antibiotic use and documents alarming rates of bacteria resistant to last-resort antibiotics that can lead to life-threatening infections across the world. Cause of antibiotic resistance: The greater the volume of antibiotics used, the greater the chances that antibiotic-resistant populations of bacteria will prevail in the contest for survival of the fittest. Two trends are contributing to a global scale-up in antibiotic consumption—(i) rising incomes are increasing access to antibiotics, which is saving lives but also increasing use— both appropriate and inappropriate—which in turn is driving resistance; and (ii) increasing demand for animal protein and resulting intensification of food animal production is leading to greater use of antibiotics in agriculture, and hence increasing resistance. Trends in antibiotic use: Both human and animal antibiotic use is rising dramatically in low and middle-income countries (LMIC)—particularly China, India, Brazil and South Africa. This increase, driven by increased prosperity, includes a great deal of unnecessary and irrational use and poses a major threat to public health. In many countries, like India, antibiotics can easily be purchased over the counter without prescription. Human consumption: Between 2000 and 2010, total global antibiotic consumption grew by more than 30%—from approximately 50 billion to 70 billion standard units (SU), based on data from 71 countries. Even though per capita consumption is still higher in high-income countries, the greatest increase in antibiotic use between 2000 and 2010 was in LMICs, where use continues to rise. In most countries, about 20% of antibiotics are used in hospitals/healthcare facilities, and 80% are used in the community, either prescribed by healthcare providers or purchased directly by consumers without prescription. Perhaps half of community use is inappropriate, for minor ailments that will not benefit from treatment, but add to the burden of antibiotic resistance. Hospitals generate some of the most dangerous and difficult-to-treat infections, a result of heavy use of antibiotics (especially in LMICs, where antibiotics may substitute for infection control). Agricultural/Livestock consumption: As global demand for animal protein grows, antibiotics are increasingly used to raise food-producing animals in intensive production—mostly to promote growth, rather than treat disease. The result is an increasing prevalence of antibiotic-resistant bacteria in livestock, poultry, and aquaculture. Also many farmers are transitioning to intensive agriculture and often use antibiotics to optimize production. More antibiotics are used in poultry, swine, and cattle to promote growth and prevent disease than are used by the entire human population. Globally, livestock consumed at least 63,200 tons of antibiotics in 2010, accounting for nearly 66% of the estimated 100,000 tons of antibiotics produced annually worldwide, which is projected to rise to 105.600 tons by 2030. The most recent worldwide estimates of global antibiotic resistance, published by the WHO in 2014, list Klebsiella pneumoniae, Escherichia coli, and Staphylococcus aureus as the three agents of greatest concern, associated with both hospital- and community-acquired infections. In 2014 in India, 57% of the infections caused by Klebsiella pneumoniae, a dangerous superbug found in hospitals, were found to be resistant to the last-resort antibiotic class of drugs carbapenems, up from 29% in 2008. It was more than 60% resistant for four out of five drug classes tested. This is a dangerous trend as the Klebsiella bug is around 80% resistant to the drug class 3rd generation cephalosporins, 73% resistant to fluoroquinolones, and 63% to aminoglycosides. For comparison, these drugs, are still effective against Klebsiella infections in 90% of cases in USA and over 95% of cases in Europe. India also has the highest rates of Escherichia coli (E.coli) resistance with strains of E.coli being more than 80% resistant to three different drug classes, thus increasingly limiting treatment options. E.coli resistance is also high and rising for many drug types in other regions too. In Europe, North America, South and Southeast Asia and parts of Africa, resistance to aminopenicillins—a broad-spectrum antibiotic class—is around 50%. Incidence of methicillin-resistant Staphylococcus aureus (MRSA), a highly dangerous type of resistant pathogen contracted mostly in hospitals, has declined in Europe, USA, Canada and South Africa during the past eight years. However it is rising in sub-Saharan Africa, India, Latin America, and Australia and was recorded at 47% in India in 2014, and 90% in Latin American hospitals in 2013. The report stresses that antibiotic stewardship (reducing the inappropriate and unnecessary use of antibiotics) is key to controlling antibiotic resistance. It lays out 6 strategies that should be incorporated in national antibiotic policies to halt its spread: (i) Reduce antibiotic need through improved water, sanitation and immunization; (ii) Improve hospital infection control; (iii) Dis-incentivize antibiotic overuse/misuse and incentivize antibiotic stewardship; (iv) Reduce and phase out subtherapeutic antibiotic use in agriculture; (v) Educate health professionals, policy makers and the public on sustainable antibiotic use; and (vi) Ensure political commitment to meet the threat of antibiotic resistance. The report advises that limiting overuse and misuse of antibiotics are the only sustainable solutions. 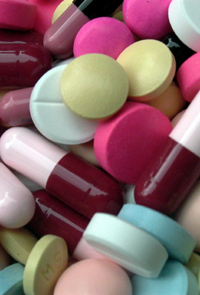 “A rampant rise in antibiotic use poses a major threat to public health. We need to focus 80% of our global resources on stewardship and no more than 20% on drug development. No matter how many new drugs come out, if we continue to misuse them they might as well have never been discovered,” said Ramanan Laxminarayan, Director, CDDEP and co-author of the report. One major drawback to focusing on drug development as a solution is that new antibiotics are significantly more expensive than those currently available—and hence unaffordable for most people in low and middle-income countries. “When it comes to antibiotic-resistant infections, the rich pay with their wallets and the poor pay with their lives,” said Laxminarayan. There is still hope to conserve antibiotic effectiveness for future generations. In May 2015, the World Health Assembly has endorsed the Global Action Plan on Antimicrobial Resistance, which calls on all countries to adopt national strategies within two years. The new CDDEP report could help countries take coordinated and research-backed action to alleviate the problem.